Educonsult is dedicated to exploring the best practices in humanities computing pedagogy. 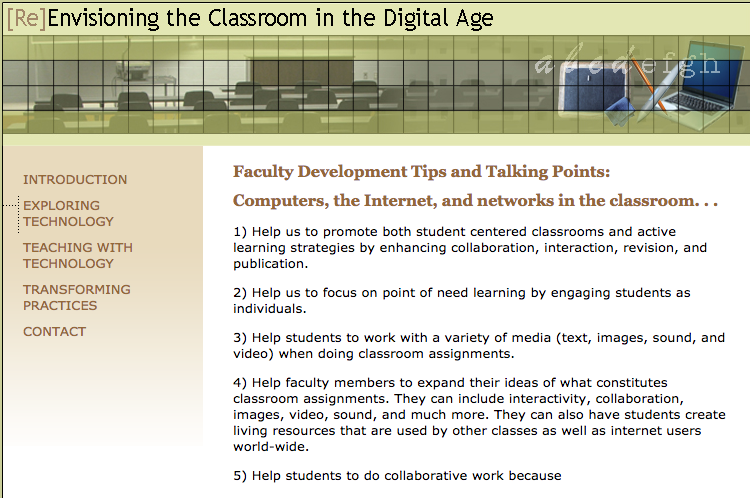 Designed to help scholars effectively incorporate digital tools and technologies into their classrooms. Educonsult helps provide lists of resources, examples of technology-enhanced teaching, and institution-level best practices for how faculty members can take full advantage of newer technologies in their teaching, learning, and scholarship.